Westport police have released graphic video of an assault on Post Road East Tuesday, and police are still trying to identify one of the people involved. According to police, police responded to the area of 550 Post Road East around 9 a.m. for a report of a fight. 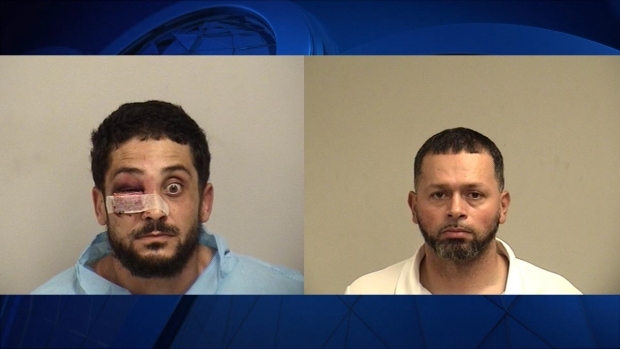 When officers arrived they found two men fighting in the middle of the road. The men had been involved in a crash, police said. Through investigation, police determined that the incident began in Derby. According to Derby police, a resident on Prospect Street reported that a man showed up at his home and assaulted him with a hammer. The resident followed his attacker into Westport, where they crashed their vehicles and the assault took place. Police said this was not a random attack and that the victims were known to each other. Police did not know the motive for the attack. Charges are expected in that case. The two men were arrested. Fernando Morales, 41, of Derby, faces charges of second-degree assault, reckless endangerment, and breach of peace. He was released on a $5,000 bond and is due in court on Nov. 6. Rafael Valle, 34, of Bridgeport, faces a reckless endangerment charge. He was released on a $5,000 bond and is due in court on Nov. 6. Police are still searching for a third man who was also involved. 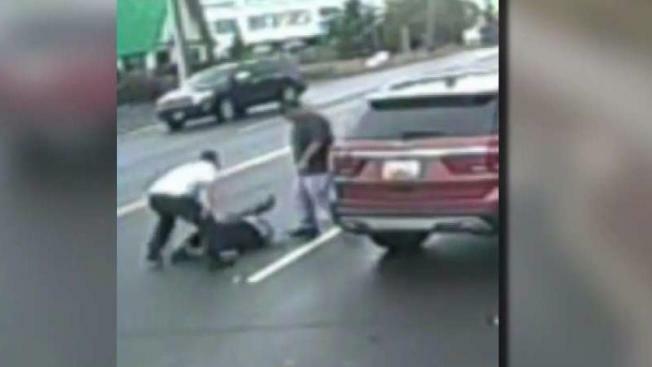 Video shows that man pull up in a third vehicle, kick one of the men, who was on the ground, then get back into his car and drive off. That driver was wearing a dark t-shirt with white lettering on the back, jeans and a baseball cap at the time of the incident. The car was described as a red-bronze or rust-colored Ford Explorer, possibly with Maryland plates. Anyone with information on this incident or who recognizes the driver or vehicle should contact Westport Police at 203-341-6080.